Try this Free Meal Plan, then head to our Shop to Subscribe if you like what you see! This list is based on Sale Items, so make sure to pick up the items on sale, for example: tomatoes should be the SALE tomatoes. When items are Buy 1 Get 1 Free or Buy 2 Get 3 Free, take advantage and stock up for future use! Freeze perishable items (meat, cheese) and store non-perishables (tomato sauce, pasta, rice, olive oil) in the pantry. Make sure to sign up to become a member of the store you shop at and carry their card so that at check out your items can be discounted. Becoming a member is free! Here is what your Meal Plan entails: 4 Main Dishes come with a vegetable/grain & the 2 Large Sides can be dispersed accordingly throughout the week to go along with. We also suggest 1 Soup for use for lunches or as an accompaniment to dinner! Blend bananas (Wegmans prices on bananas are hard to beat), peanut butter (crunchy or smooth, about 1/2 cup), yogurt – and whatever else you want – for a delicious morning smoothie that is packed with protein. For quinoa porridge, treat quinoa the way you would oats, but cook them entirely in milk or nut milk. This will help make the end result very creamy. Finally, when in doubt Greek yogurt topped with your favorite granola and fresh in-season berries does the trick quite nicely. I’m predicting that you’ll have a lot of leftovers this week! Why not make hay while the sun shines? Mix leftover kale with cold potatoes for a surprising twist, chop up and mix leftover salmon with some mayo and enjoy on leftover toast or over greens. Thinly slice leftover roast beef and serve on toasted ciabatta rolls with horseradish mayo, thinly-sliced red onions and cheddar. To make horseradish mayo, simply pick up some freshly grated horseradish and mix with mayo, black pepper and salt. 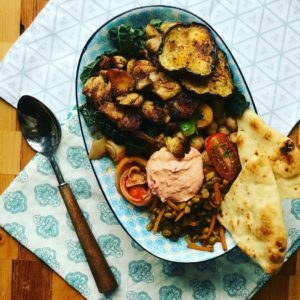 Grab some tortillas, throw in some leftover chicken shawarma and massaged kale, et voila! So, of course the usual suspects: our favorites include fresh fruit, Wegmans seltzers and drinkable protein-filled yogurts. BUT…wait for it…we are going to suggest something else really fun: drain a can of tuna, add a bit to your favorite cracker and top with a bit of cheese. Place under the broiler for a few minutes and you’ll have a delicious warm treat that is healthy and delicious (and that will tide you over until dinner)! The winter is the perfect time to make a roast like this. Tender beef plus deeply earthy root vegetables and fennel...yum! If you've got a Pressure Cooker or Slow Cooker, now is the time to use it! In a bowl combine salt, pepper, garlic powder, chili powder and onion powder. Rinse the roast and pat dry, then rub with the spice mixture. Place roast in crockpot and surround with potatoes, carrots, parsnips, and fennel. Season with salt and pepper to taste (a ½-1 tsp should do). Pour beef broth into crockpot over beef, potatoes, carrots, parsnips, and fennel. 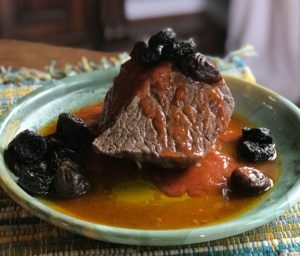 Cook on low heat on the slow cooker for 6 hours (or 4 hours on high setting) depending on the size of the roast (usually 2 hours per pound on low). You will know it is ready when the internal temperature reaches 130 F.
Don't forget to set your Pressure Cooker for Stew (30 minutes on high) or Slow Cooker to high for 4 hours. I enjoyed this dish often while living in Paris. I was fairly broke and managed to save money by eating a lot of delicious ethnic street food. One vendor, in particular, Au Vieux Cedre, made the absolute best Chicken Shawarma. It was my first experience with this dish, and too bad that I'm only now sharing after living away from Paris for 14 years!!! It's flavors are simple: lemon, garlic, cinnamon, cumin, curry. The renditions of this recipe are endless, but I prefer mine simple. Using boneless chicken thighs really helps to lock in the flavor! Combine all ingredients in a large bowl and allow to sit on the counter marinating for 20 minutes. Add mixture to an oiled baking dish and bake for 40 minutes, or until tender and cooked through. Make sure to reserve excess cooking liquid to flavor rice or soups! While chicken is cooking, make rice per package instructions or use this method here. Alternatively, you can cook this in your pressure cooker or slow cooker! See Notes for instructions. Add marinated chicken mixture to the basin of your pressure cooker, close the lid and secure the pressure valve to the locked and closed position. Choose the meat setting and off you go! Add marinated chicken mixture to the basin of your slow cooker, close the lid and choose the low setting. Cook for 6 hours (or overnight). Here's a simple way to have delicious, Cajun spice-encrusted salmon in under 15 minutes! Preheat a cast iron skillet with olive oil and butter over medium heat. Remove fillets from packaging and blot dry with a paper towel on all sides. Combine spice mixture with fingers and coat both sides of the fish, reserving a Tbsp of spice mixture for later. Add fish skin-side down in the pan and set a timer for 2-3 minutes, depending on thickness. Resist the urge to move fish. Once timer has gone off and the bottom is blackened, carefully flip with two forks, making sure not to pierce flesh of fish. 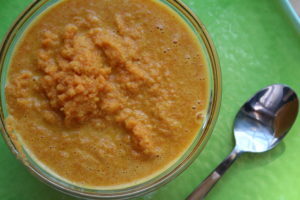 Blacken on the other side for 2-3 minutes, remove and add to a plate of warmed Carrot Coconut Curry Puree (below). Keep heat on the skillet, add oil if needed to coat bottom of pan, and add green beans. Sprinkle remaining spice mixture on top and cook beans for 5 minutes or until bright green. In place of *'d ingredients, use an equal amount of Cajun/Creole Seasoning. Use this puree to add a punch to your bronzed fish! The flavors are subtle and smooth and allow the Cajun spice-coated fillet to shine. Cook everything but the coconut milk together in a pressure cooker, slow cooker or on the stove top until carrots and onions are tender. Transfer to a blender and pulse until smooth. 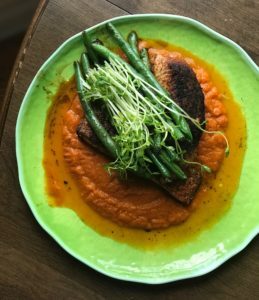 Check out this video on how to make Bronzed Salmon! This is such a great dish for the beginner cook, or even a smaller family, couple or single guy/gal. The truth is, any amount of your choosing can be prepared at one time, so only make what you need. 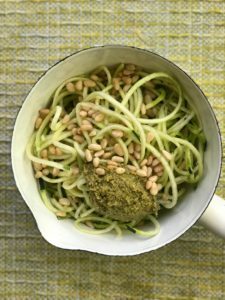 Pull ingredients from the fridge throughout the week and have a bright dinner or side filled with basil-y pesto flavor and toast-y pine nuts anytime! In a large saucepan, cook zoodles and water together until tender, about 5-10 minutes on high. Add pesto, arugula and tomatoes, mix and cover to steam for 5 more minutes off heat. Remove lid again, toss gently and top with pine nuts to serve. Jenks is a guy I went to college with. When I visited him in NYC recently, he made these potatoes for breakfast. They have that great “home fry” flavor you get in breakfast diners, but they could certainly be served for any meal. I went old school and drenched them in ketchup! Toss potatoes liberally in oil, salt, and pepper. You could also sub out some of the oil for melted butter. Place in a roasting pan and begin roasting in the oven. Every 15 minutes you will remove the pan from the oven and quickly stir and turn the mass over so they will cook and brown regularly. After the first stirring, begin sauteing the onion in a frying pan over medium heat. Cook for 3-5 minutes, to begin softening. Add garlic and cook another 1-2 minutes. At the second stirring (30 minutes in), add the onions and garlic to the potatoes and stir in. Stir again at the 45 minute mark. At 60 minutes, check for doneness. Don’t be afraid to cook longer as needed. Serve with eggs and some dank coffee! Kale on sale? Then you know I’m probably going to fill one of my crisper drawers with it! I sometimes just dip raw kale in hummus when I’m too lazy to make lunch, but making massaged salads is my favorite way to eat them. Kale is hearty enough that you could make this salad and it will still be good for a few days, though it will lose some of its crunch over time. Add kale to mixing bowl and use your hands to mix and crush the vinaigrette into the salad. Mix for 2-3 minutes to ensure the kale is thoroughly coated and broken down. Garnish with sesame seeds. I prefer to refrigerate before serving but it could be eaten on the spot. I don’t think I’ve ever truly had the “ramen” experience until this trip to New York. Obviously everybody has their opinions on what is the best and most authentic. I’m not trying to necessarily recreate anything I had, but rather I wanted to create a soup inspired by the amazing broths that make up the ramen dishes I had. This uses a bit of coconut milk, and I hate to make you buy an entire can and not use the whole thing, but I didn’t want it to be such a dominant flavor. But feel free to use all of it if you have no other use! Toss mushrooms in sesame oil, soy sauce, and Worcestershire. Turn out onto a parchment/foil lined sheet pan and roast for ~20 minutes until a little crispy and flavor is developed. Heat a large dutch oven over medium heat. Begin sauteing onion in a mixture of sesame and olive oil for 5-7 minutes, until softened and browned. Add garlic, ginger, white parts of the scallions and saute another 2-3 minutes. 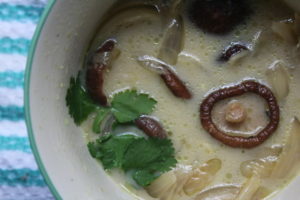 Add broth, coconut milk, lime, and fish sauce and bring to a boil, then reduce to low simmer. Add half of the roasted mushrooms and continue to simmer for 5 minutes. Taste to evaluate salt and seasoning (consider the addition of a hot sauce such as sriracha, or small doses of spices such as curry or cumin). 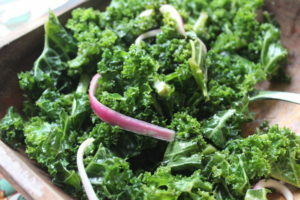 Cut the heat, add kale and half of the green parts of the scallions, and let sit for 1-2 minutes to let the kale wilt. Serve with a topping of the rest of the roasted mushrooms and the green scallions. This list is based on Sale Items so make sure to pick up the items on sale, for example: tomatoes should be the SALE tomatoes. When items are Buy 1 Get 1 Free or Buy 2 Get 3 Free, take advantage and stock up for future use! 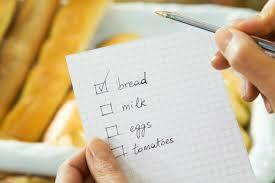 Freeze perishable items (meat, cheese) and store non-perishables (tomato sauce, pasta, rice, olive oil) in the pantry. Make a double batch of the Fruit Salad listed in Side 2 and enjoy for breakfast throughout the week, maybe topped with banana and pineapple?? Pick up some eggs and enjoy a hearty breakfast of eggs, bacon and English muffins –or MYO biscuits from Immaculate Baking. Have an extra box of pasta lying around? Pair it with the Rao’s Marinara on sale this week, then throw on some prosciutto and cheese, too! Want something lighter? Bake some chicken breasts in oil, salt, pepper and herbs (or your favorite spice mix @ 375 F for 30 minutes) then enjoy over greens, in the bone broth on sale or even served on the lentils from Main 2. PB&J is always an old standy-by and check out the frozen cod fillets, too! So many amazing choices this week it’ll be hard to choose! Pita chips and tortilla chips, Mediterranean spreads, olives and cheese, applesauce and eggnog for the kids and sparkling water for you! Pick up your favorites and take advantage of both the awesome sales and coupons available this week. My new favorite thing! The Lamb and San Marzano combo is sweet and earthy and when set over the Potato-Cauliflower Purée is pure heaven. For picky eaters...the cauliflower is impossible to taste and adds a silkiness to your average mashed potato side. Add broth to leftovers to make soup, too! Or bake with layered root vegetables for a dreamy Shepherd's Pie. *If you don’t have white pepper, black pepper will work just fine! Brown lamb in oil until cooked through, about 5 minutes, then add onions and half the garlic. Cook for 5 minutes more. Add carrots, tomatoes, bay leaves, thyme, cumin, salt, pepper and tomato paste and bring to a boil, then reduce to a simmer. While you’re waiting for your lamb + tomatoes to come to a boil, make your potato purée: In a large pot of salted water, add cauliflower and potatoes + the rest of the garlic (cloves can be whole). Cook until potatoes are tender, about 15 minutes. Drain, reserving 1 cup cooking liquid just in case it’s needed to thin out mixture, then transfer to a blender and add butter, half and half and parmesan. Pulse until smooth, adding extra cooking liquid as needed until you reach your desired consistency. To serve: Ladle purée into bowls, then top with lamb + tomato mixture. For leftovers, combine both the lamb + tomatoes and the purée into a large pot, add water or stock to loosen a bit and heat. Serve as a hearty soup with some crusty bread. This class French combination is a go-to for me. If you think you don't like smoked fish, think again! Not only is canned smoked fish so super healthy (think omega-3s and tons of calcium) but it is inexpensive and can be purchased in bulk when on sale. It's delicious even for kids (start 'em early)! My children literally devour entire tins at a time! In a medium saucepan filled with water, bring to a boil and add lentils and cider vinegar. Cook for under 20 minutes or until al dente and not splitting apart. Add carrots and celery once you’ve removed the lentils from heat. Mix them in, cover pan and allow them to steam for 5 minutes. Drain lentils, carrots and celery, toss with sea salt, garlic powder and olive oil. Prepare crackers or bread and serve by smearing a small amount of mustard on crackers, then top with lentils and smoked fish. This dish would go well with any leftover greens and can also be made into a soup if desired simply by adding water and cooking to reheat. *If vegan or vegetarian, substitute 1 small can of fire roasted tomatoes for a smoky, toothsome addition. 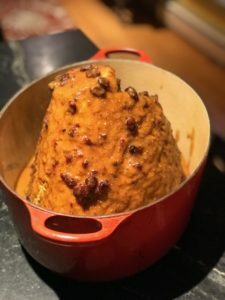 By far the most popular recipe I have ever written, it also happens to be one of the simplest to make. One pan truly means one pan in this case. The trick is in the layering of ingredients while baking so that everything comes out perfectly done at the same time. I know you'll keep this dish in your repertoire for use often! Preheat oven to 400 F and in a large baking dish, add potatoes, oil and half the salt & pepper. Arrange potatoes evenly over the bottom of the baking dish cut side down and bake for 20 minutes. Remove baking dish, slide potatoes over to one side and add salmon, skin side down, to the other side. Drizzle with a touch more oil and sprinkle with the rest of the salt & pepper. Remove baking dish from oven once again and make a place in the center of the pan to nestle in asparagus. Toss gently to coat in the juices of the fish and the leftover olive oil. Return to the oven one last time and bake until asparagus are bright green, potatoes are cooked and slightly crispy and salmon is opaque. Who doesn't love a good baked ham with a crunchy sweet & salty glaze? Skip the glaze packet, watch my video and put together this glaze in 1 minute using pantry staples. Make this for your holiday dinner or anytime! Leftover ham makes great school lunch sandwiches, is easy to freeze and the bone makes excellent split pea soup, which we will have coming up in our Meal Plans throughout the winter, so save and freeze what you can! Remove the ham from its packaging and preheat the oven to 350 F.
In a glass baking dish, arrange the ham with the sliced-side up. In a small bowl, combine chopped pineapple, brown sugar, cider vinegar, salt and butter and mix with your fingers. Add mixture to the top of the ham and place in oven. While ham is cooking, heat a pot of water to a boil with potatoes. Cook until potatoes are soft. Remove potatoes, pat dry if needed and slice in half. Place cut-side down on a foil-lined baking sheet. Using the bottom of a heavy sauce pan (or your hands), press each half until the skin breaks and it gets sufficiently smashed. Drizzle with olive oil and salt and place in the oven to bake and crisp up as the ham is finishing. Since the ham is already cooked, you’re only waiting until the topping becomes caramelized and crunchy. The whole dinner should be ready in 30-45 minutes. Watch this video to see how to throw the glaze together in 1 minute! Vie Video Tutorial: Tart & Sweet All-Purpose Glaze for Ham, Beef, Chicken, Lamb or Tofu! This side is a staple in my house. Often I will have kids lined up as it comes out of the oven to taste a bite (often too hot to even chew)... It's that good! It makes fantastic cold leftovers on top of salad or in lunches, so feel free to use throughout the week in any way you like. On a foil-lined baking sheet, drizzle half the oil on the bottom of the pan and spread out cauliflower “steaks”. Coat the tops in olive oil, and sprinkle with half the salt and all of the red pepper flakes. 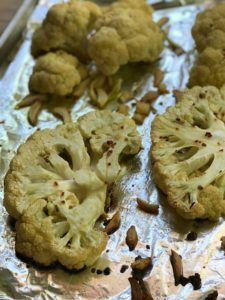 Place in the oven to roast until browned and the edges of the cauliflower are crispy, about 25 minutes. While cauliflower is roasting, make Greek Lemon Sauce: in a blender (or by hand) combine the hummus, yogurt, lemon zest and juice. Add the rest of the salt and taste. Adjust seasonings as necessary. When cauliflower is done, remove from the oven, scatter with olives (as many as you like, but remember a little goes a long way) and sprinkle Greek Lemon Sauce with mint before serving on the side of the crispy cauliflower. 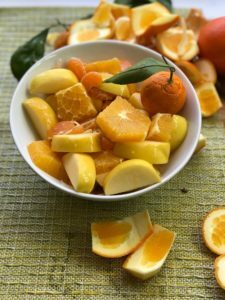 Take advantage of the citrus on sale to throw together a lively offering for your winter table. In a large serving or salad bowl, gently toss fruit with juice. Allow to sit for 10 minutes. Stir again then top with chopped mint* and serve. *Only add as much mint as you’d like. Remember not to overdo it: you can always add but you can’t take away. Watch our 1 minute video tutorial here! A bold soup with a burst of flavor and color. We love how this soup just shows up to the table and gets to show off. I made this in my new pressure cooker in 20 minutes! Take advantage and use yours if you have one, or use a slow cooker or stove top method. For use in the above mentioned cooking vessels, simply brown onions, garlic, ginger, lemongrass, and curry before adding carrots, etc. (excepting the coconut milk) then set your pressure cooker for the "Soup" option. For a slow cooker, follow the same instructions, browning the aromatics in a separate saucepan before adding them plus the rest of the ingredients (minus the coconut milk) to your slow cooker bowl. Cook on high for 4 hours. Once both methods are done cooking, blend soup, add coconut milk and garnish the way you like to serve! In a large soup pot, sauté onion, garlic, ginger, lemongrass* and Thai curry paste together for 5 minutes. *If using bruised lemongrass stalk, pound it on your countertop with a wooden spoon gently to “bruise” it, then place it whole in the soup. You will be removing it before blending. Add carrots and butternut squash and cook 5 minutes more, stirring often. Add tomatoes + stock and bring to a boil, then reduce to a simmer for 20 minutes, or until squash is cooked. Remove lemongrass stalk if used. Add to a blender and purée until smooth. Return to the soup pot, add soy sauce, fish sauce and coconut milk. Reheat over low slowly and taste. Add more soy sauce if desired. To serve, ladle hot soup into bowls and garnish with cilantro, toasted almonds and a drizzle of sriracha honey. Here’s one of our popular Meal Plans from this past summer! We are offering this Plant-Based Meal Plan as a seasonal option for those of you who love shopping at the Farmers Market, grow your own vegetables or prefer to shop at Trader Joe’s. All of these items can be found, with season in mind, at the above locations. With items like Pantry Staples, tofu and tempeh, you’ll need to head to Trader Joe’s (or any other store of your choosing) but as far as produce goes all of the ingredients listed below are in season and readily available! If you participate in a CSA, you’re in luck! Now you no longer have to worry about what to do with that bumper crop of tomatillos. We hope you enjoy this FREE plan during the summer as our gift to you, our community! Please note that we are not including Breakfast, Lunch or Snack options in this plan but remember, always buy extra fresh veggies and fruit for breakfast and snacks and don’t forget to use up these yummy leftovers for lunch! This dish is easy and refreshing. Prep work can be done ahead and post-cooking the boats only get better in the fridge. Simply reheat to serve or enjoy cold. The farro adds a nice bite and the tomato-oregano flavors help to add a twist to the typical tomato-basil love affair. This one will knock your socks off! Double roasting the beets if you have time helps give them a buttery texture and the fried capers add a nice brininess while still pairing a nice crunch with the soft beets. Balsamic tartness brings the whole dish together. I love to slice local heirloom tomatoes nice and thick in the summer. Their nooks and crannies help absorb the homemade basil oil in every pocket and the acidity of the dressing helps to cut the sweetness of the fruit. Store leftovers in a jar for an instant pasta topping! Roasting local eggplant is so fun because there are many different types to experiment with. 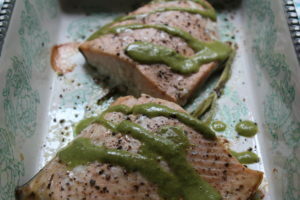 The end result is a bite that’s soft here, toothsome there and when topped with this herbaceous green sauce the end result is heavenly! Who says squash has to be boring? Toss your thinly sliced squash with some leftover basil oil and arrange nicely in a baking dish. Add to the oven and walk away! Not only is this meal hard to mess up, but it’s really delicious served hot or cold. Add vegetable broth to the leftovers and some farro and you’ve got a light soup perfect for lunches. I love to take young sweet potatoes that are small and thin and roast them skin-on but if all you can find are large sweet potatoes, wedges are fine, too! The sugar from the sweet potatoes caramelizes during roasting and offers a great crunch and balance to the earthy rosemary and sea salt! Shishitos are my absolute favorite because everyone in the family can enjoy them! Even my almost one year-old stuffs his face with these!! They are great served cold but can easily be reheated and leftovers are great to add on top of your lunch grain bowl. ‘Tis the season! Butter beans are (I believe) the most underappreciated vegetable! Since they are shelling beans, you any find them at the market still in their pod. Any lima bean-esque legume will do for this dish, even black eye peas. The caramelized onions offer a sweet and smoky note that makes these beans anything but bland. 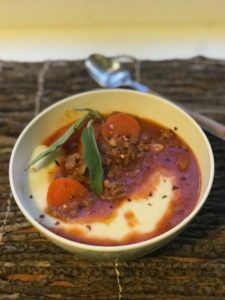 I was asked recently by a Vegan friend to come up with a cleansing soup that is high in protein. This one definitely fits the bill! Think red beans and rice with a twist, and don’t forget to pile on the okra. 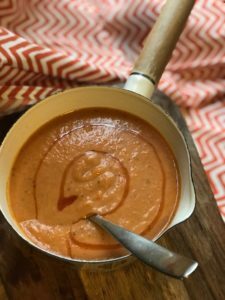 Not only will they help thicken the soup naturally, but they’ll be sliced thin so if you have someone at the table that doesn’t much like okra, give this soup a chance! Small morsels mean that it will be easier to eat with less chew-time! Prepare farro by cooking in 4 cups water with a pinch of salt in a large saucepan or in a rice cooker until al dente, about 20-30 minutes. Drain (if needed) until ready to use. Hollow out zucchini with a spoon or knife, leaving a ¼ “ rim on the outside so the squash can hold up to being stuffed and cooked. Chop the hollowed-out zucchini and toss with tomatoes, cooked farro, oregano, salt, pepper and balsamic vinegar. Drizzle with olive oil and bake on a lined baking sheet or oiled baking dish for 25 minutes or until zucchini is done (softened slightly) and stuffing is heated through. Preheat oven to 375 F. Line a two baking sheets with foil and keep red and gold beet wedges separate. Toss with half the olive oil and sprinkle with half the salt and pepper. Roast both uncovered for 30-45 minutes or until they are soft. Do this step the day or night before if you can to ensure the most buttery beet texture. If you don’t have time, skip straight away to the next step. If you’ve done them a day in advance, simply fold the beets up in their foil tightly and let sit at room temp until the next day. Preheat oven to 350 F and continue roasting beets for an additional 25 minutes. Keep in mind that the foil will discolor the beets slightly, but they are still delicious! In a large cast iron skillet, add the rest of the oil. Heat over medium heat until shimmering and add sliced shallots first. Cook them gently until browned but not burned. Pay close attention and move them around the pan carefully with a metal spoon to ensure even cooking. Remove to a large plate lined with paper towels once crispy. Next, add the drained capers. These will splatter a bit due to the amount of water in them so watch out. No kids around for this one! Stir the capers as they fry just as you did the shallots. You’ll notice that the capers brown slightly and open up like flowers. Remove them to the same paper towel and allow to cool. Arrange roasted beet wedges on a large platter, sprinkle with crispy shallots and capers and drizzle with a small amount of balsamic syrup. 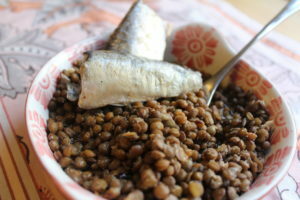 Taste and add more salt if desired, keeping in mind that the capers add a lot of briny flavor! Arrange tomatoes on a platter, slightly overlapping and sprinkle with salt. Make basil oil: In a blender, combine basil (stems included), olive oil, white balsamic, garlic, salt and red pepper flakes. Purée until smooth. 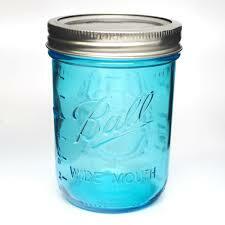 Store in a mason jar and shake before using. To serve, use a spoon to drizzle basil oil over tomatoes. Toss eggplant cubes and garlic cloves in half the salt and half the olive oil. In a blender or food processor, combine 1 whole seeded orange, the juice of the other orange, oregano leaves, mint leaves, the other half of the salt and olive oil and water as needed to make a smooth sauce. Taste and adjust flavors as needed. Remove the eggplant from the oven when done: it should be still in cubes for the most part and not complete mush. Wait 10 minutes and as it cools it will un-adhere from the foil and be easy to scrape off intact. Serve on a platter or in individual plates with a drizzle of sauce + more on the side in a bowl for others to use at their discretion. Gently toss squash slices with basil oil, salt and pepper. Arrange them in a medium baking dish by beginning at the edges and fanning them like a deck of cards in a circular motion until the bottom of the baking dish is covered. Continue with a second and third layer until all squash is used or you’ve filled the pan. Drizzle remaining oil atop slices and place in the oven. Bake for 25-30 minutes until tender but not falling apart. Line a baking sheet with foil and add whole small sweet potatoes or wedges. Toss them in half the oil, rosemary and sea salt. Add more oil as needed. Place the baking sheet on the lowest rack of the oven and roast for 30 minutes or until cooked through, crispy and caramelized slightly (you’ll see the sugars trying to escape from the sides of the potatoes). 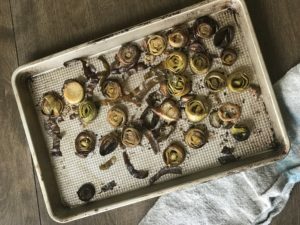 Spread out washed shishitos onto a foil-lined baking sheet. Drizzle with oil and toss to coat. Place in the middle of the oven, adjusting as needed so as to cook evenly (closer or further away from the broiler so that all peppers cook at the same rate instead of some scorching and others remaining underdone). In a large heavy-bottomed pan (cast iron is ideal) add onions with oil over low heat. Cook onions until they’ve sweat a bit and reduced in body. Add sugar, stir to combine thoroughly and cover. Cook for 30 minutes, removing lid every 10 minutes to stir and prevent scorching. Add water as needed to keep liquid in the bottom of the pan (the water from the onions will be brought out from cooking and the sugar, however can evaporate if the lid is not airtight). While onions are cooking, prepare another medium saucepan by filling it with 1 inch water and bring it to a boil. Once at a boil, add beans and cover, stirring every so often to redistribute beans. Cook beans for 20 minutes, or until they are softened but not falling apart. Strain beans once cooked and sprinkle with salt and pepper. Serve over a bed of caramelized onions. Sauté onions, garlic and red pepper together in olive oil over medium heat for 5 minutes. Add red beans, chipotle (if using) and quinoa. Stir to mix and then add broth, starting with 1 quart, then increasing once quinoa begins to cook and absorb liquid. Add salt. Bring to a boil then reduce to a simmer for 20 minutes. Taste and add more salt if needed. Add broth until you reach your preferred consistency. Add sliced okra and cover, cooking an additional 10 minutes. Remove from heat, stir in vinegar and parsley and serve hot.